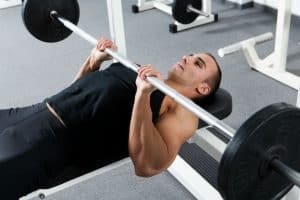 Weight benches are a popular weight training tool that many people use both at the gym and in their own homes. 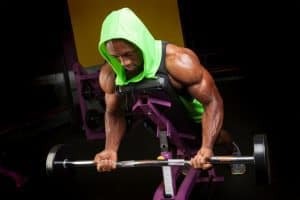 But, if you choose to work out at home, you want to ensure that you have the best equipment you can get, not only for your own safety, but for longevity and durability too. XMark have been making benches for many years and are one of the well-known home gym equipment brands available on the market – and for a great reason too. Their equipment provides an excellent weight training experience. While the XMark XM-7630 unit is on the pricey side, you definitely get what you pay for – quality. 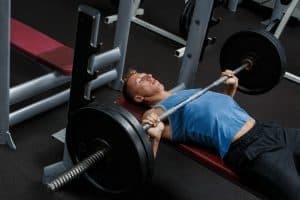 Let’s take a look at what this weight bench has to offer. Whether you are looking to avoid expensive membership fees at your local gym of you want to complement your current weight training workout, the XMark XM-7630 Weight Bench has features that make this the perfect addition to your home gym. 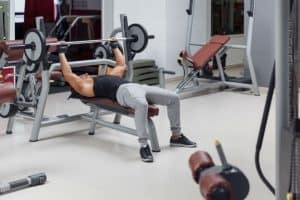 Whether you have just started weight training or you have been following a fitness program for years, this weight bench is beneficial to anyone looking to strengthen and tone their muscles. It is also ideal for those looking for variety in their workouts. 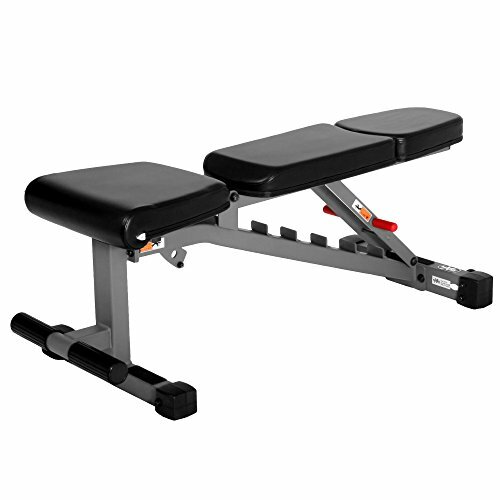 The XM-7630 comes with the weight bench that is padded to provide durable support for your body when working out. It also comes along with a user manual. Note that it does NOT include a rack, weights, or a bar, which need to be purchased separately. 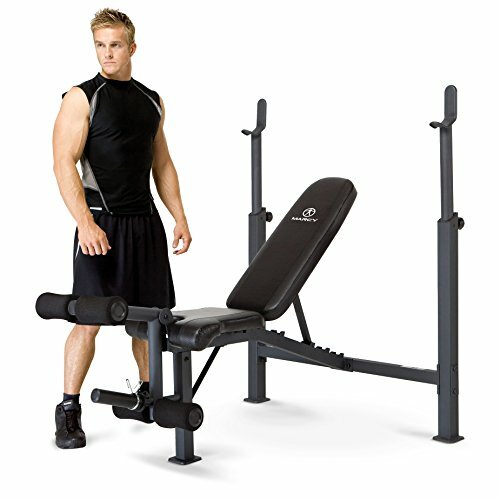 This weight bench is a high-quality adjustable bench that can be used in an incline, decline, or flat position. This allows you to perform a wide variety of exercises using this bench, especially for your upper body. 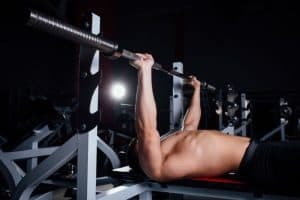 For example, rather than just doing flat dumbbell presses, you can place the bench in the incline position which will work not only your arms, but your lower pectoral muscles too. The 1,500 pound weight capacity makes this bench an ideal choice for both beginners and seasoned lifters who prefer training with much heavier weights. The bench is covered with 3 inches of Duracraft padding. This provides you with a comfortable support, even when you are doing heavy bench presses. There are many compatible power racks that can be added to the XM-7630 to create a more diverse workout regimen. The adjustable seat can be placed in 3 positions. This means that you can perform incline or decline exercises very comfortably. There is also a foot bar to hook your feet behind to keep you firmly in place when performing bench presses, situps, and other exercises that require your legs to stay still. This bench is very robust and sturdy. There is a bit of a gap between the seat and backrest when set to the flat position which can be a bit surprising at first, but this is very common with adjustable weight benches. There are a great variety of exercises you can do on this piece of equipment despite its simple appearance. Thanks to its various decline and incline positions, the list is even longer. This weight bench has been rigidly built to accommodate tall users. The bench length is 67 inches, which can comfortably accommodate men and women over 6-feet tall. This bench comes with a leg extension that allows for natural and free leg movement. This bench is water and rust resistant thanks to the powder-coated finish. The adjustable back allows you to set this weight bench to five different incline, flat, and decline positions. This bench is available for less than $120, giving you real value for money, especially when you consider the heavy-duty, stable steel frame that can handle up to 600 pounds of weight. This weight bench also feels safe and sturdy when you use it. Plus, the upholstery used to build this bench includes top-quality high-density foam that is both soft and strong. 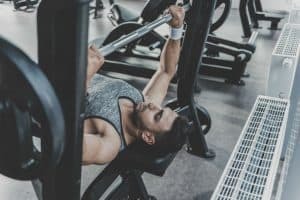 Whenever you consider purchasing a piece of equipment that involves weights that could cause strain or injury to your muscles, you need to consider every aspect of the unit. The XMark XM-7630 allows you to switch between flat, incline, and decline positions with ease thanks to the ladder-styled adjustment system.